You already know that Paris stole a little bit of my heart and I cannot wait to head back to the most romantic city in the world! But, I’ve yet to dig into what we did, where we went and what we ate. 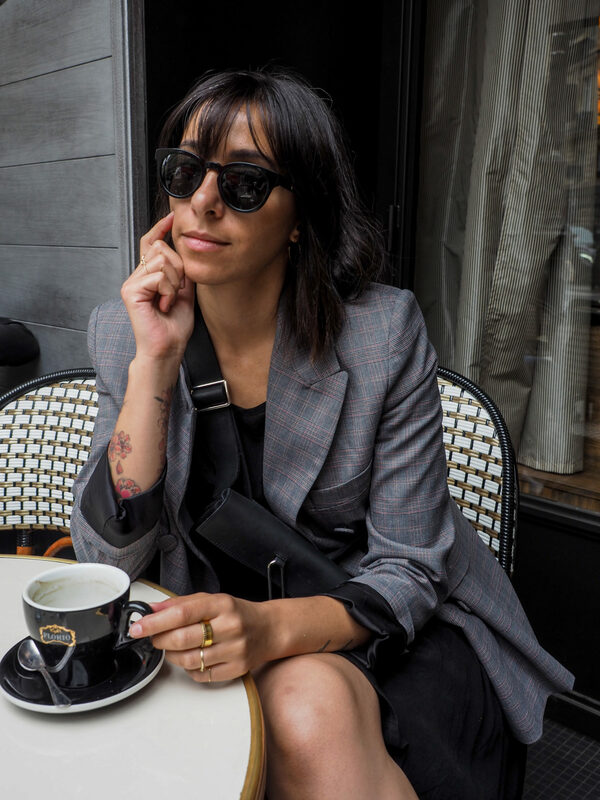 I feel spoiled having my first time in Paris be during Paris Fashion Week because the city was bustling with fashionable people, fashion events and fashion shows everywhere. This really added to the sparkle of Paris and was almost cinematic to watch. Since it was my first time, I wish I had a broken down guide to read of all of the little things to know before getting there. 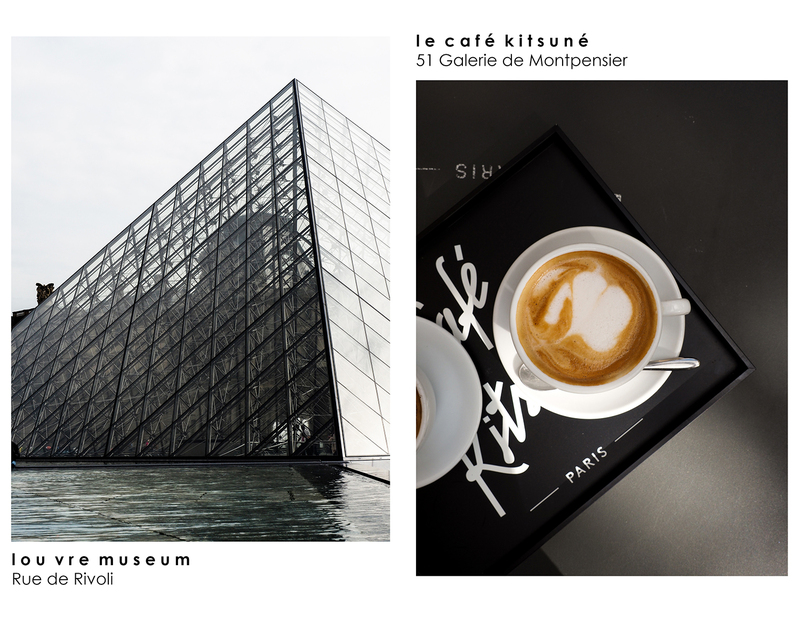 So, I’ve created a travel guide for Paris by the arrondissements. Arrondissements are districts or what we would call neighborhoods. 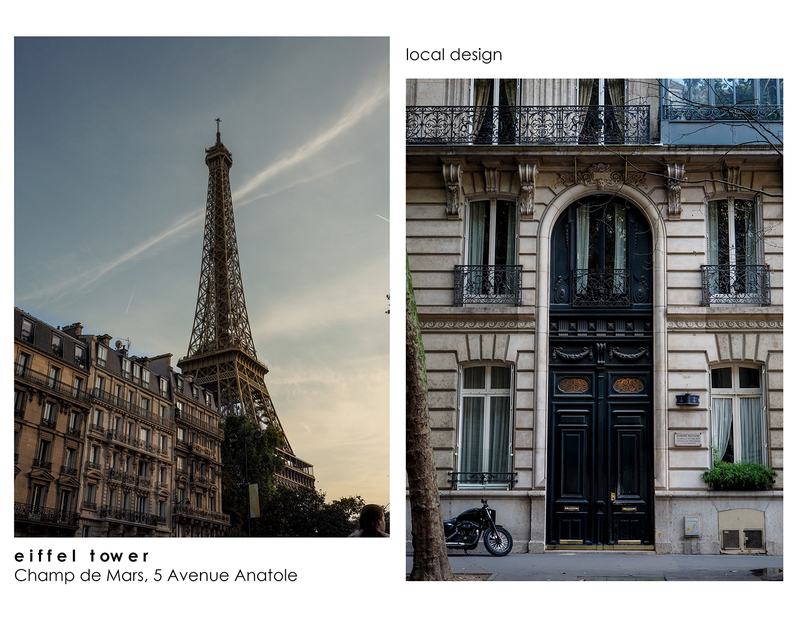 Paris is divided by arrondissements and when referring to a location you simply call it “the first”, “the third”, etc. Some also have local names, for example, we stayed in “the first” but it is also called the “Japanese Quarter” because of it’s abundance of Japanese restaurants or “The Pyramids” because it’s close to the Louvre. 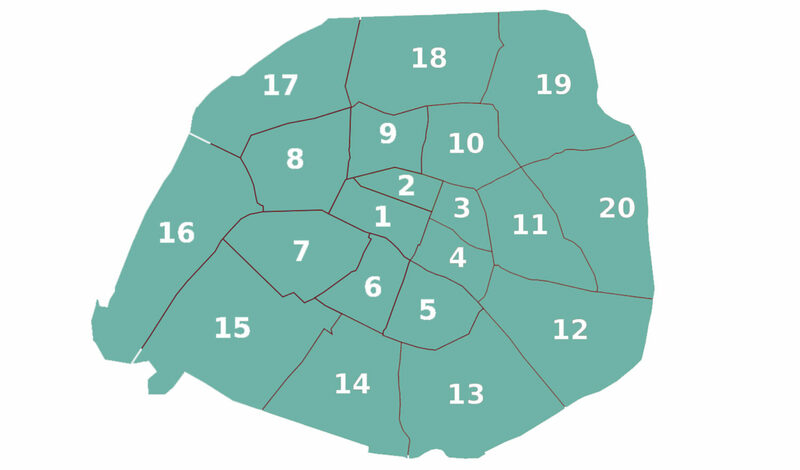 Before we jump into the arrondissements, here are some of the basics you should know. DO YOU NEED TO SPEAK FRENCH? : The moment you open your mouth, they know you can’t speak French and will immediately speak English to you. It’s always polite to ask them if they speak English before your dive right into it. 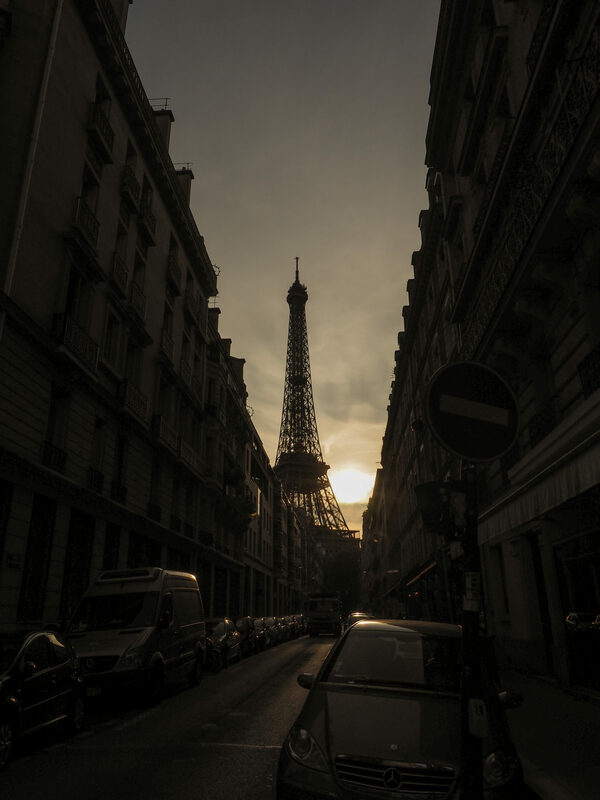 HOW MUCH MONEY TO TAKE TO PARIS: We traveled for 8 days with 400 euros each. This was used on daily purchases but not shopping for clothes, gifts, etc. only food, travel and essentials. In fact, I came home with 50 euros but did use my credit card for big purchases like perfume. TRAVELLING FROM THE AIRPORT IN PARIS: A taxi from the airport can run you 50 euros and when you exchange that into Canadian dollars, it’s almost $100! We did’t realize this until after the fact so I would recommend you grab an Uber from the airport. This price difference was half! The metro is also an option but we were so tired that we just wanted to have a seat. TRAVELLING IN PARIS: Use the metro for all of your travel in Paris. A metro ticket will cost you 1.50 euros and will last 1.5 hours. If you know you’ll be using it a lot, I recommend getting daily or weekly passes so you aren’t always waiting in line. The metro is also very easy to use and they have easy to read signage everywhere so keep your eyes peeled. If you need it, Uber is really popular in Paris. 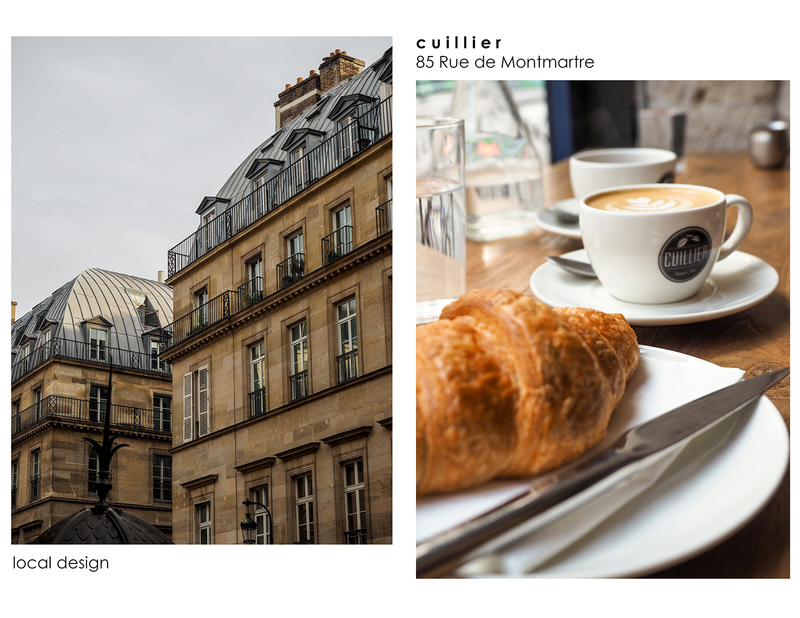 WHERE TO STAY IN PARIS: Since we were visiting Paris during Paris Fashion Week, we knew we wanted to be near the majority of shows but also very close to the yellow line on the metro. We stayed in a 1 bedroom (2 bed) apartment in the 1st arrondissement (middle of Paris) and it was the perfect location to get to everything. It was located above a grocery store and nearby all of the shops and cafes we could have needed. It’s a very bustling neighborhood so don’t expect it to be quiet. I would highly recommend the Airbnb that we stayed at. Click HERE to check it out. HOW TO GET INTO YOUR APARTMENT: All of the buildings have key codes to gain access so be sure to take your code with you or maybe snap a photo of it to make sure you can get back into your apartment. YOUR FIRST STOP IN PARIS: Hit up one of the grocery stores and stock your kitchen with light snacks and bottled water. The water in Paris did not taste good so we used bottled water for everything. Eating out can be quite expensive as well so to save on money, we made breakfast at home for about 70% of the trip. 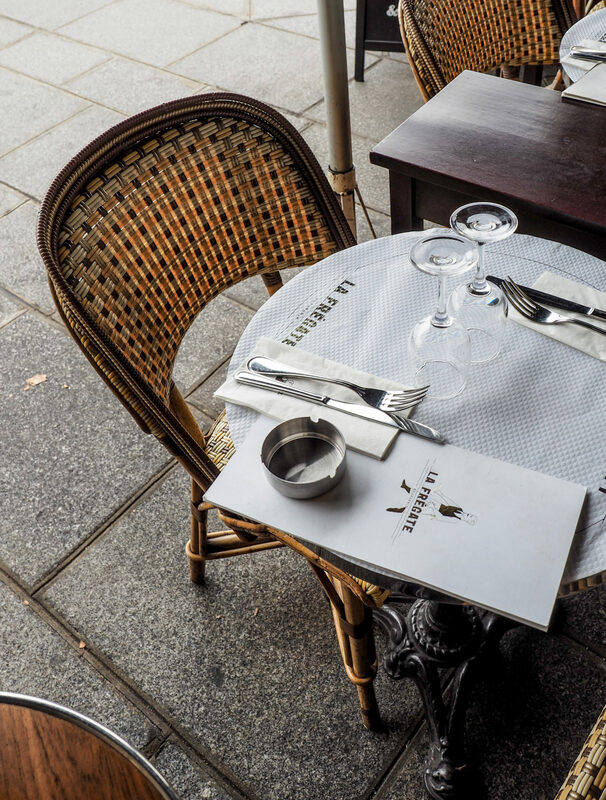 WHERE TO EAT IN PARIS: In Paris, it’s not hard to find a cute place to eat a meal but take a look at all of the menus before you sit down. We noticed that all of the cafes and bistros had an extremely similar menu but all different price points. We tried to stay away from restaurants that had the following on the menu: fish and chips, burgers and hot dogs. Of course, when you’re super hungry it’s still delicious! A lot of the locals purchase baguettes as lunch or quick snacks and they are absolutely delicious! They are baguette sandwiches with cheese, tomato, lettuce and some have meat and can run you about 5 or 6 euros each. I’ll list my favourite restaurants below in each arrondissment. WHERE TO SHOP IN PARIS: Shopping in Paris is quiet pricey, even for the locals. If you’re looking to get your hands on a great Parisian piece, be sure to take some extra money just for shopping because you’ll be spending on average 60-100 euros an item. 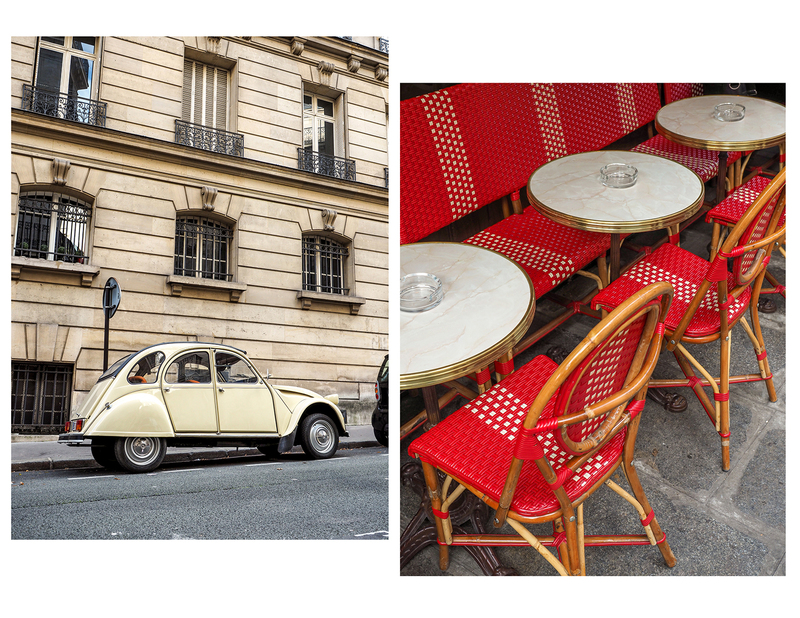 Vintage shopping in Paris is great but even the locals find it to be over priced. Also, note that business are closed on Sundays. It is actually illegal for a business to be open on a Sunday unless it is in a tourist neighborhood. ARRONDISSEMENTS: As mentioned above, Arrondissements are districts or what we would call neighborhoods. Paris is divided by arrondissements and when referring to a location you simply call it “the first”, “the third”, etc. If it states “L” or “R” meaning left bank or right bank, this is referring to left or right of the bank otherwise known as the Seine which is the river in the middle of the Paris. 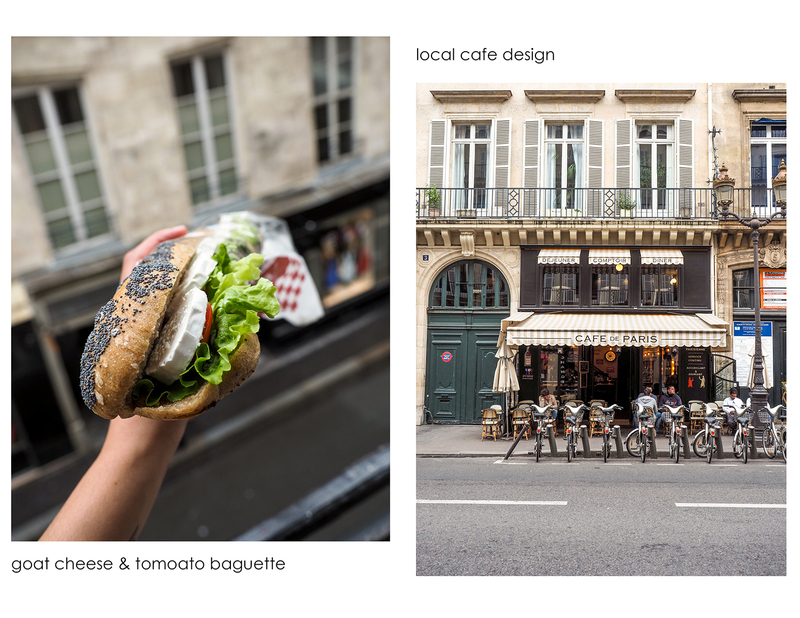 Below I’ve listed all of my favourite stops in each arrondissement – use this map to help you navigate your way! The 1st arrondissement is one of the smallest neighborhoods in Paris and is also the least occupied of all of the districts. This arrondissement is a great place to find japanese restaurants, boutique restaurants and cafes and includes Palais Royale, The Louvre and The Tuillieries Garden. Maison Kitsuné – First starting out as a music label, Kitsuné became a fashion label designing classic styles mixed with street wear. Their logo comes from the translation of the Japanese word Kitsuné, meaning fox. Makes more sense to be in the Japanese quarter once you understand that! Café Kitsuné – An extension of the Maison Kitsuné store. You can find their tiny cafe in the corridors of the Palais Royal. H.A.N.D (Have A Nice Day) – This was our favourite restaurant on the trip. Situated at the end of the street from our Airbnb, this candlelit restaurant had a delicious menu of items that felt like home with a twist. It was always packed from brunch to dinner. Senoble Family Gourmande – If you have a sweet tooth I recommend hitting up this chocolate shop! The decor is just as well thought out as the offerings. Phở 14 Opera – This was the best Phở I’ve ever had! Set time aside to wait in line outside but it’s worth the wait and once you get in, it’s very fast. The 2nd arrondissment is where you can find more shopping from known stores like Levi’s, And Other Stories, COS, etc. 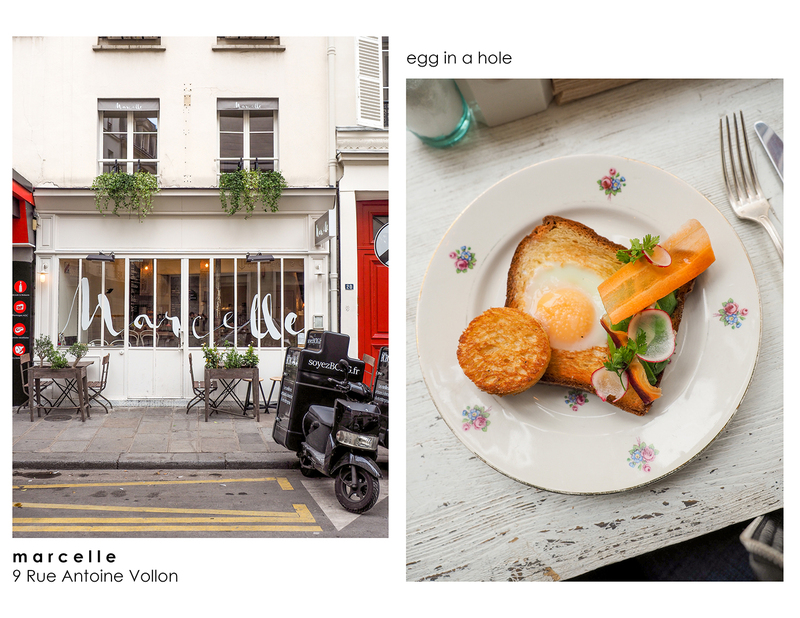 Cuillier – This cafe was so great that we went about 3 times. It reminded me of the cafes we find at home and the staff was excellent and helped us out with a lot of info. They don’t have it on the menu, but ask for the avocado croissant with pepper flakes and melted cheese. It was to die for! 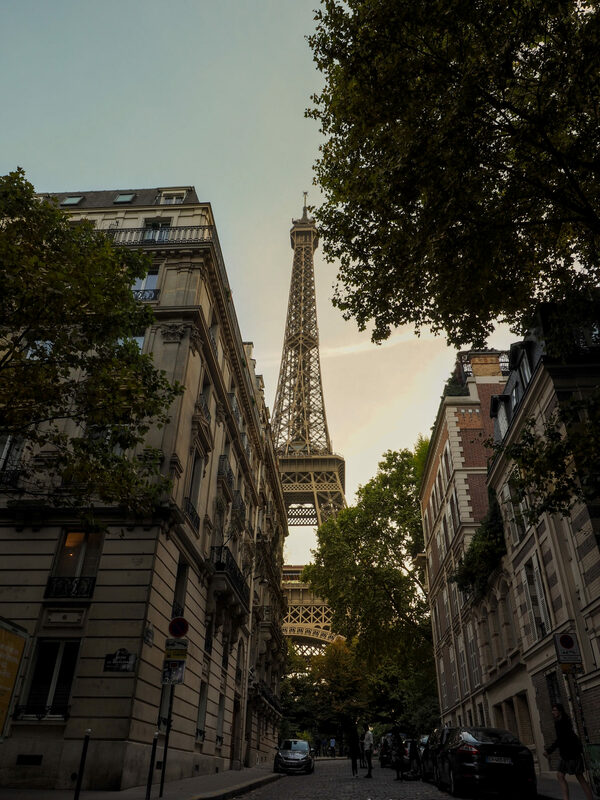 You”ll find the iconic Eiffel Tower in the 7th arrondissement and I suggest walking down the neighborhood streets and laneways to get some pretty epic shots like all of the ones shown on this post. We went just before sunset and golden hour made for some sublime photography. The 8th arrondissement is one of the most photogenic with grand monuments like the Arc de Triomphe and the Grand Palais. If you’re looking for a prime shopping experience then pop over to the 9th arrondissement for a trip your favourite stores and luxury department stores. 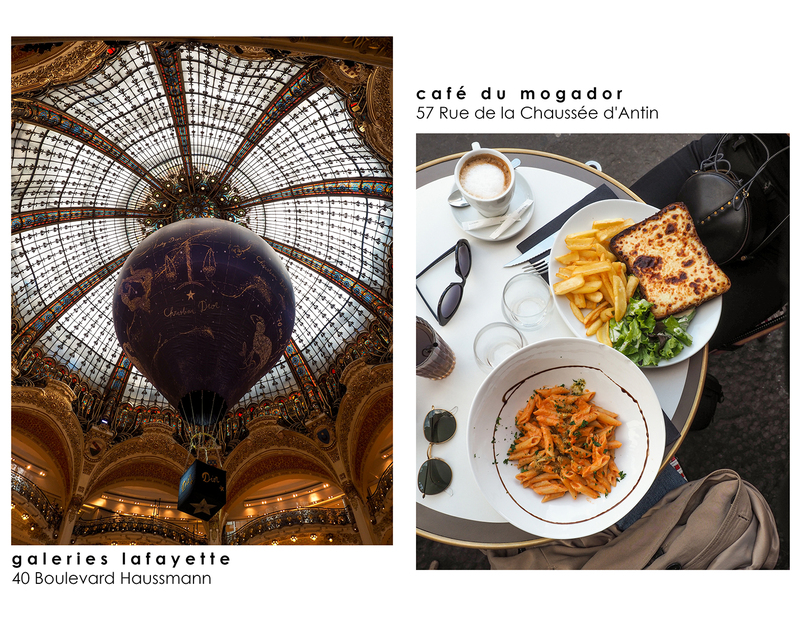 Galeries Lafayette and Printemps – Major department stores catering to luxury brands. Café du Mogador – A prime people watching bistro offering delicious comfort foods. This is one of Paris’s more ritzy areas and if you’re looking for a quiet Parisian experience, I reccomend here. This is also home to many art galleries and the home and studio of Yves Saint Laurent which is open to the public for tours. This is also a prime spot to grab a photo of the Eiffel Tower from a distance. Champs-Élysées – A major shopping street with a mix of fast fashion and luxury. 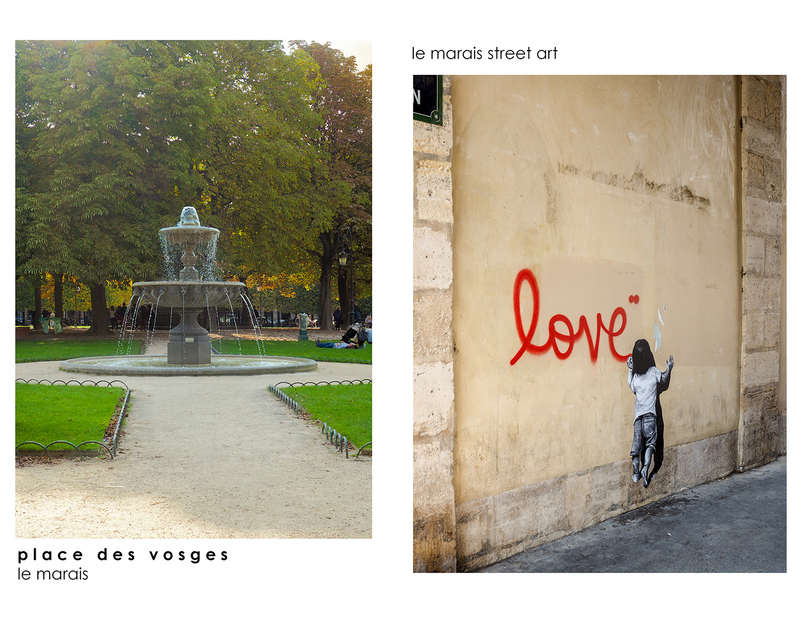 Le Marais is an artsy neighborhood in Paris that is bustling with shoppers during the day and bar hoppers in the evening. This is where you can find the most vintage shopping in Paris. Places des Vosges – A park in the middle of Le Marais that is perfect for people watching and relaxing on the grass. I recommend stopping by before school is out for the day as it gets pretty full of children after then. La Place Royale – Some locals say this is “the best restaurant in Paris!” and the food definitely matched their excitement. I decided to switch up my luggage for this trip because I knew that with the bumpy roads, smaller sidewalks and the abundance of cold weather clothes I’d pack, I needed something a little more lightweight. That’s really the selling point of the Lipault Original Plume Spinner in black. This luggage is so lightweight that you can lift it with one finger when empty. This isn’t a structured case so you’re able to packed more items that usual. With that said, because it is not a hard shell case – don’t pack fragile items so be sure to wrap them!